Fit Life ChiropracticBlogExercisesWhat Happens to the Body in a Fender Bender? What Happens to the Body in a Fender Bender? We use the phrase “fender bender” to refer to a relatively minor event. It’s not life-threatening and sometimes, you won’t even need to do much to repair your car afterwards. It’s just something that happens. 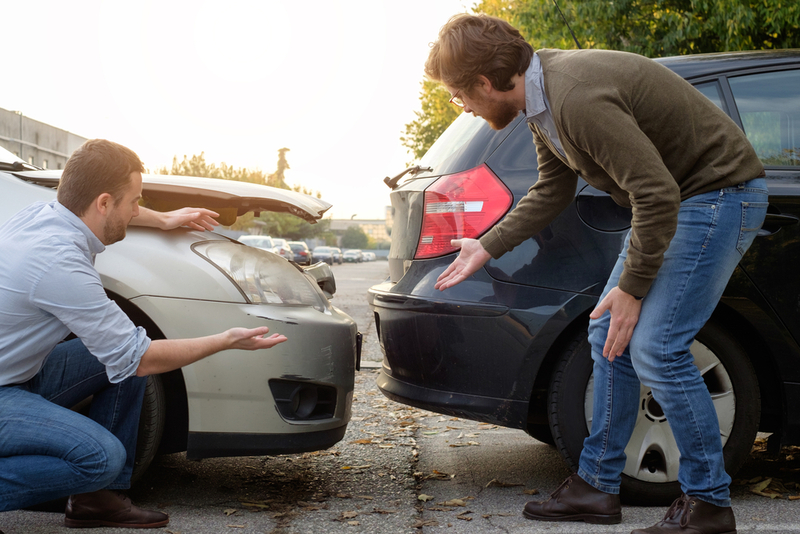 However, the physical effects of a fender bender can be greater than most people anticipate.The trick is that the pain afterward can feel out of proportion with the accident. Even a tiny bump from the rear end can cause weeks of pain and discomfort. In fact, accidents that don’t even cause damage for your car can still take a major toll on your body! Adrenaline that rushes into your body during and after an accident can hide the signs of injury, so it might take people a little while to understand how much damage their body sustained. Symptoms can take anywhere between three days to three weeks to manifest, and soft tissue damage won’t show up on an x-ray. 1: Whiplash – Your head jerks violently backward or forward, which tears muscles and/or tendons. Symptoms include headaches, pain & tenderness, stiffening, and lowered range of motion. To relieve the pain, ice the area, take anti-inflammatories, and if it’s hard to go easy on your neck while the muscles heal, you might consider a neck brace. 2: Neck sprain – People think neck sprain is the same as whiplash, but it’s not. Neck sprain happens when the ligaments, which connect the bones in the spine, are torn and stretched. Usually this is what’s wrong if you experience pain a couple days after the accident. Symptoms include numbness, tingling, muscle spasms, as well as the same headaches, pain, and tenderness that you get from whiplash. Massage, as well as ice and heat treatments, are often helpful in treating neck sprain. 3: Pinched nerve – There are a lot of nerves along your spine, which travel from your spine to other areas of the body, down the arms. Pinched nerves happen as a result of stress from the discs or bones in the spine, and may cause pain, numbness, tingling, and weakness. Treatment for a pinched nerve may be more complicated, depending on the severity and location. Herniated discs will need to be diagnosed or they can continue to cause pain and distress even after the muscles and tendons have mended. Chiropractors can use a variety of therapy methods that will treat the pain and the underlying cause.